Hypoxic regulation of TAMs in cancer progression and therapy. (i) Hypoxia-induced release of chemoattractants results in enhanced TAM recruitment, which further amplifies the protumoral response. (ii) TAMs release survival factors for cancer cells, which protect them from chemotherapeutics. 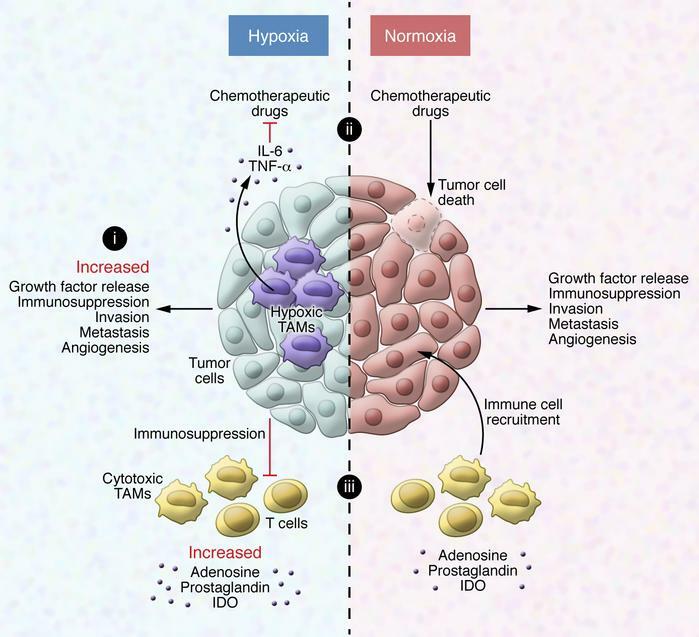 (iii) The hypoxic tumor environment is immunosuppressive and prevents an antitumor response.